The first coffee press, which may have been made in France, was the modern coffee press in its rudimentary form: a metal or cheese cloth screen fitted to a rod that users would press into a pot of boiling water. Patented by Milanese designer Attilio Calimani in 1929 the Danish tableware and kitchenware company, Bodum, is the one we have to thank today for popularizing this device that we appreciate for what it is - a device that is simple, elegant and produces coffee with full body. The french press produces a full bodied and rich cup of coffee, but also leaves sediment at the bottom of the cup, so don't take that last sip, no matter how good that cup was! We find that the french press tends to taste a little weak (under extracted) when using the standard 1:16 ratio (coffee/water), so we use 1:15. Preheat your press with boiling water, then discard water. 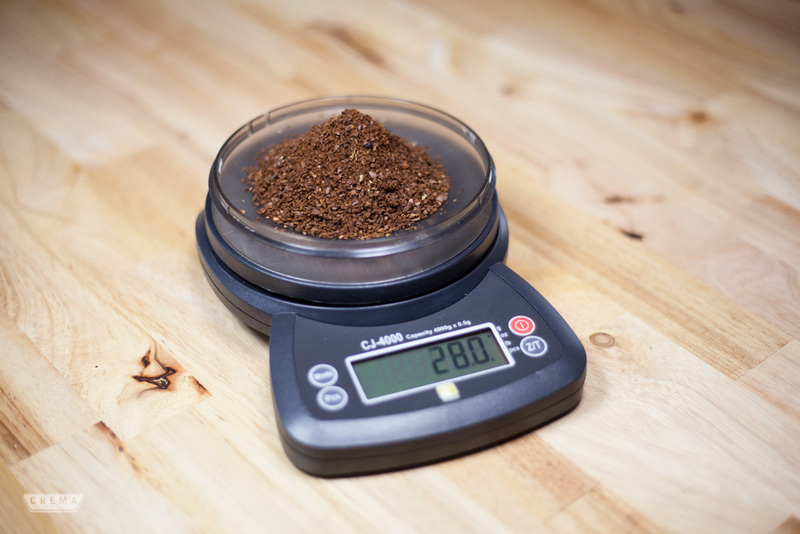 Weigh out about 29 grams of coffee. Fill kettle and heat water. 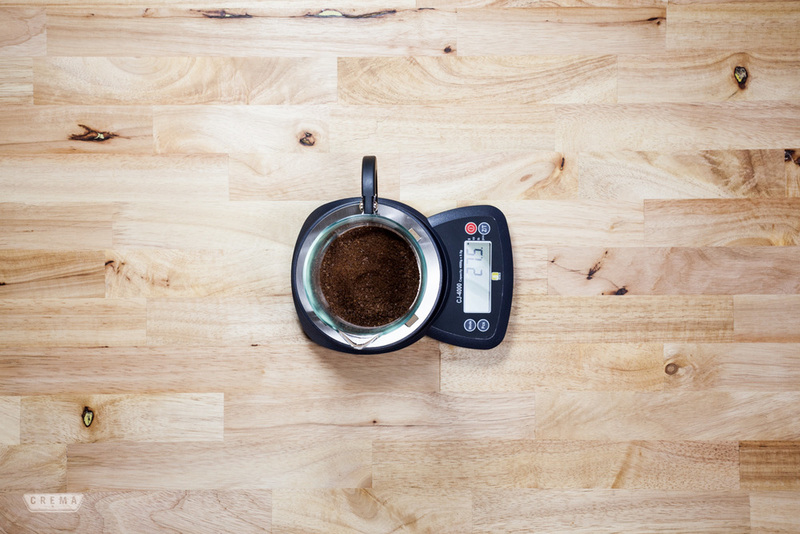 Pro tip: we weigh out slightly more coffee than will be used, often a gram or two is lost in the grinder. Grind coffee. Particle size should be similar to a coarse sea salt. 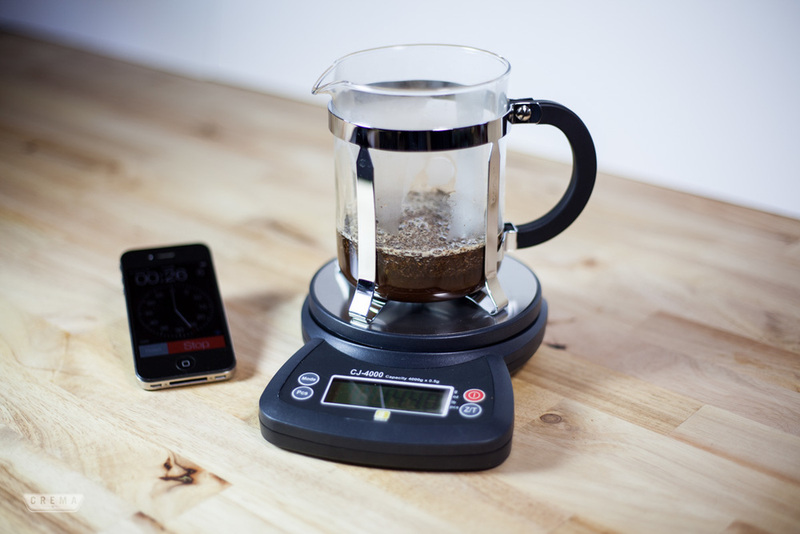 Weigh out 27 grams of coffee into the press and tare scale. Start timer, Add water until you reach 400 grams. Remove from scale. Cover and steep until 3:30. Pro tip: push the plunger down slightly so that all grounds are submerged in water during steeping. At 3:30 gently plunge for 10 seconds. Immediately serve or decant to prevent over-extraction.